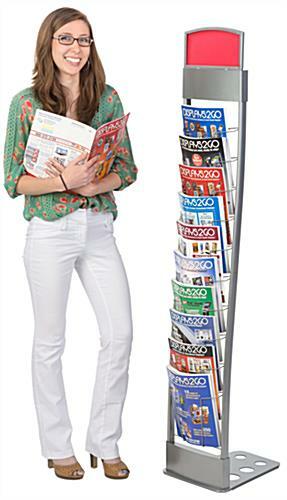 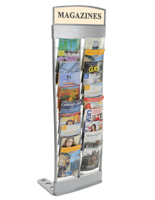 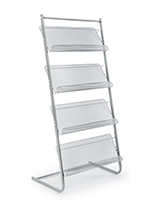 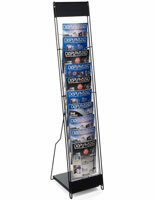 This portable publication stand is a freestanding unit that has 10 pockets each with a 9.25” width making it the perfect magazine rack. 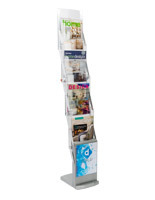 The steel and wire construction of the literature holder is durable with a modern look to fit into contemporary settings. 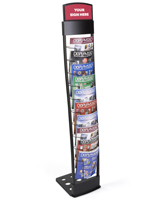 The publication stand with silver finish will accommodate many different color palettes in schools, waiting rooms, and retail shops. 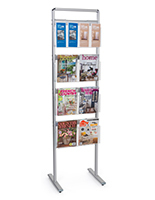 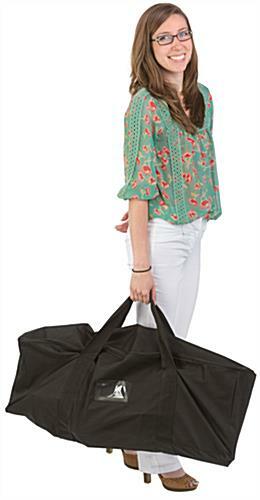 The freestanding magazine rack breaks into 3 separate parts all of which are lightweight and easily carried in the provided black bag. 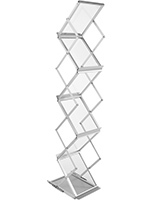 The stand snaps together to make assembly a cinch. 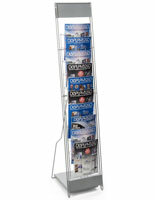 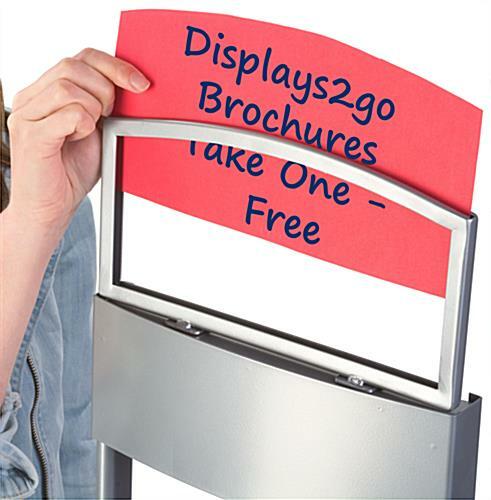 The wire pockets are deep and curved to keep the literature inside standing upright and quickly viewable to customers.